I've enjoyed growing succulents & cacti for the last 10 years. 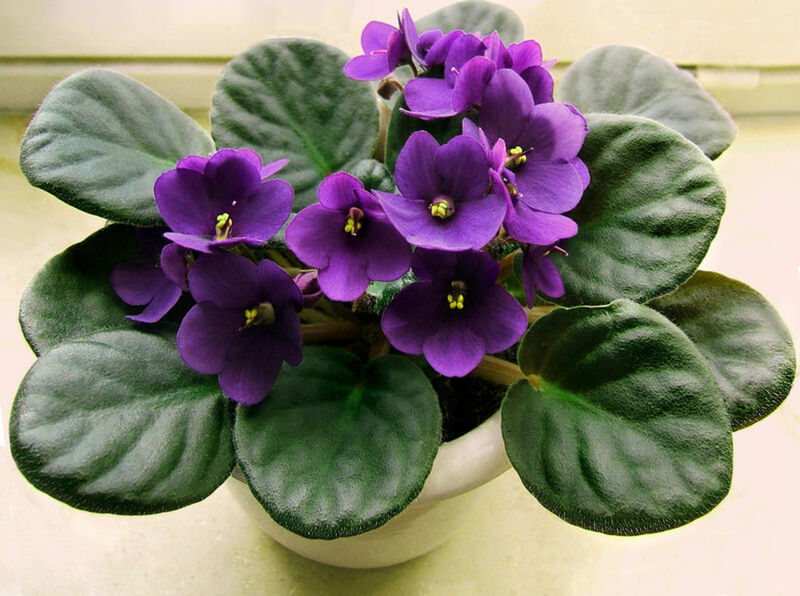 They're beautiful & easy to grow and propagating them is super simple! Have you ever seen really cute cactus-like plants at the store in one of those fabulous decorative pots and thought, "I need one of those, or maybe 10 of those!" Then this article is for you! 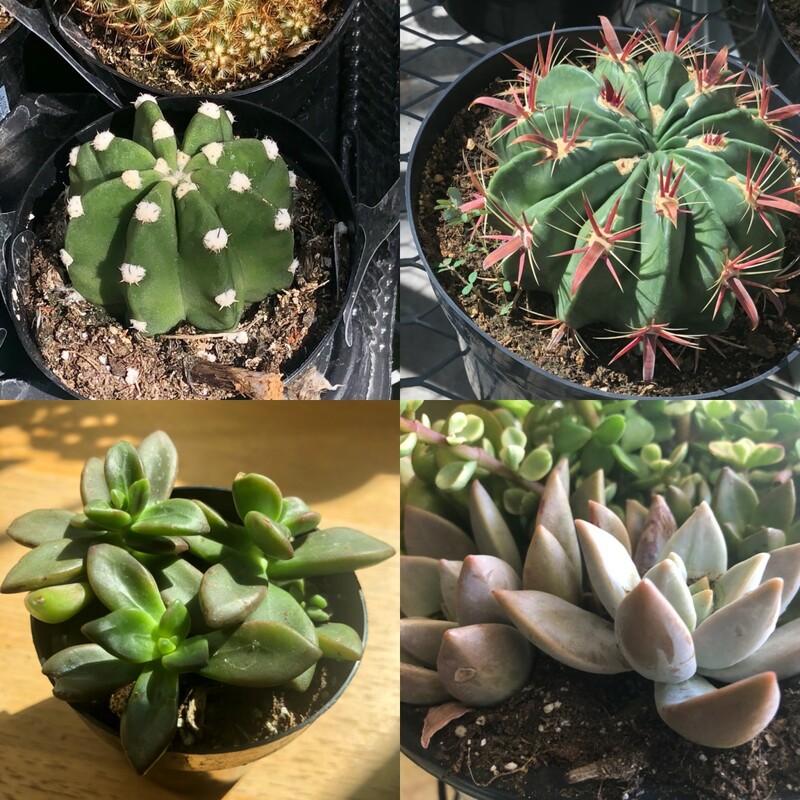 I have enjoyed growing succulents but didn't want to spend a fortune. So learning to propagate plants I already had was a great way to grow my plant collection while keeping my wallet relatively unscathed. If you’ve ever heard the term succulent to describe a plant, you may be thinking “Oh, that’s a cactus, right?” While that may sometimes be the case, it isn’t always true. You can’t use the terms interchangeably, unless you want to be wrong. 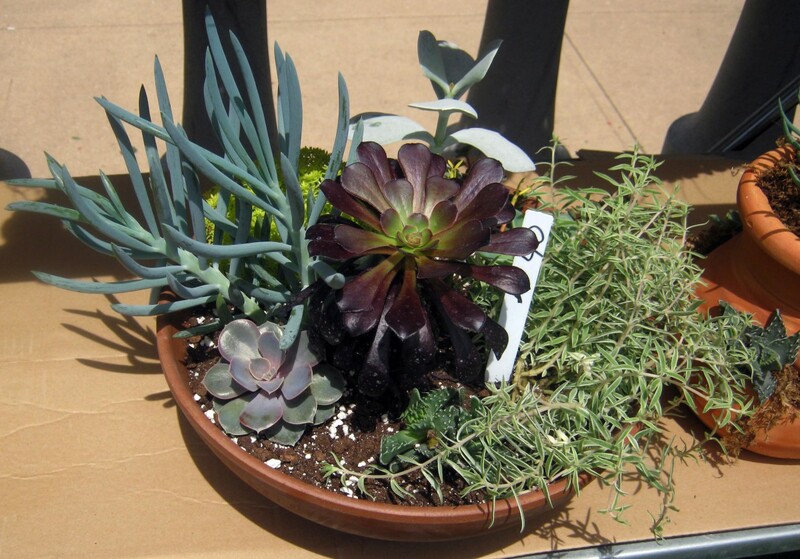 Succulents are plants that store water in their stems, roots, and leaves. Cacti are fleshy plants that store water, making them part of this group—meaning all cacti are succulents, but not all succulents are cacti! Cacti are a sub-category, if you will, within the group of plants called succulents. To consider a succulent plant a cactus, the plant needs to have areoles. Yep, you read that right—areoles are small, round, cushion-like mounds of flesh where spines, hair, flowers, or leaves grow from the cactus. These are ONLY present on cacti, not all succulents. Where Can You Buy Succulents? 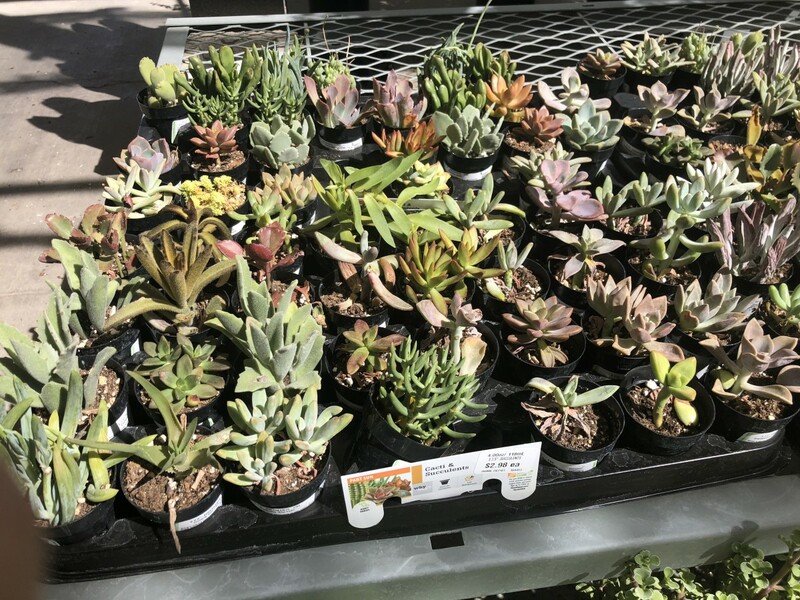 I have had good luck buying succulents at Home Depot and Lowe's, but most gardening centers that sell plants will sell succulents. You can also buy them online. 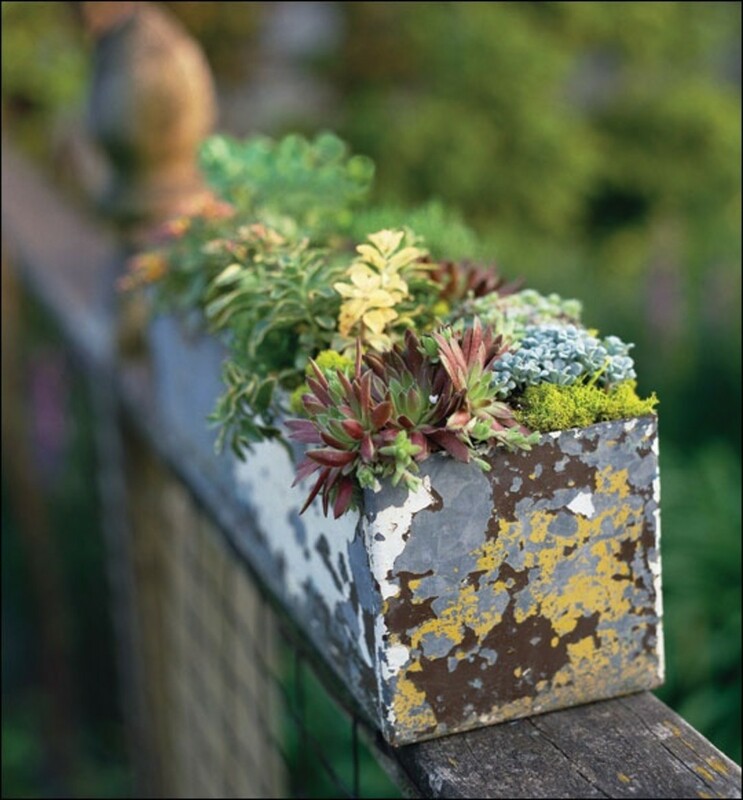 Most of the time you will see succulents in tiny pots—sometimes really pretty decorative pots that make them perfect for a small windowsill or other area with only a small bit of space. So you have some succulent plants and want to encourage more plants to grow. What do you do first? You don’t need to buy more plants. Just have a little patience, and be prepared to see some really cute little baby succulents as they grow. Succulents are a fairly easy plant to grow in general, and likewise, it’s fairly simple to help grow the baby plants from the ones you already have. Each succulent plant will be different. So although some of them can be propagated by using one leaf, some will need to be done with cuttings instead. 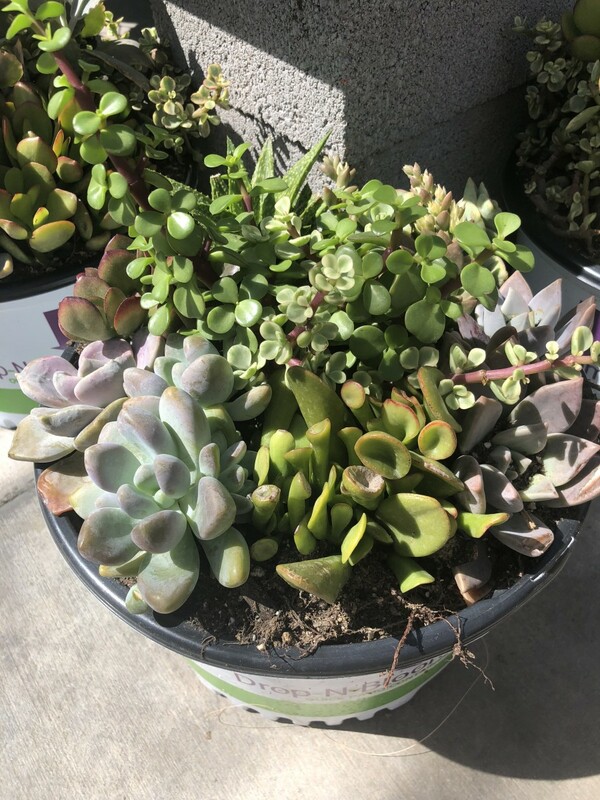 I’d recommend looking at the label that came in the plant or on the side of the pot to know just what type of succulent you have. That will help you determine how to best care for your plant. Propagation is just a fancy way of saying to make a new plant from one you already have. 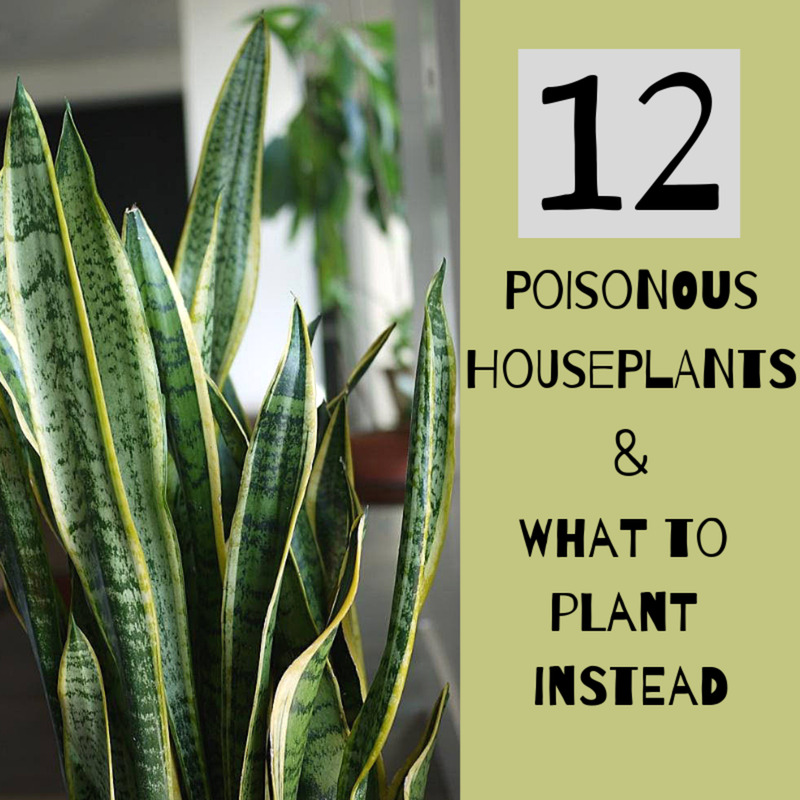 I already mentioned the two ways you can do this, either by taking off a leaf from a current plant or to cut part of the plant away to grow and replant. To take a leaf for propagation, simply twist a leaf off of the base, making sure to take the entire leaf, leaving nothing on the stem. If you’ve twisted off a leaf and see liquid from the end of the leaf, you may not have gotten the entire thin. And although you can set it out to dry and see if it will grow, it may shrivel up and die. If you have a plant that requires cutting instead of just a leaf for propagation, make sure to start with a clean pair of cutting shears or scissors. Cut off a piece of the succulent either from the top of the plant or one of the offshoots. 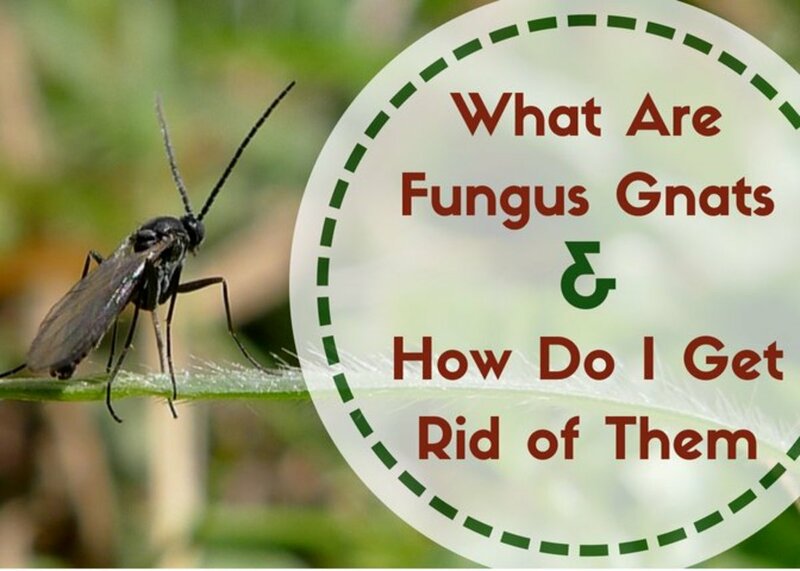 This may be a strange tip, but one that is crucial to growing new plants. After you’ve made the cutting, let it dry out! 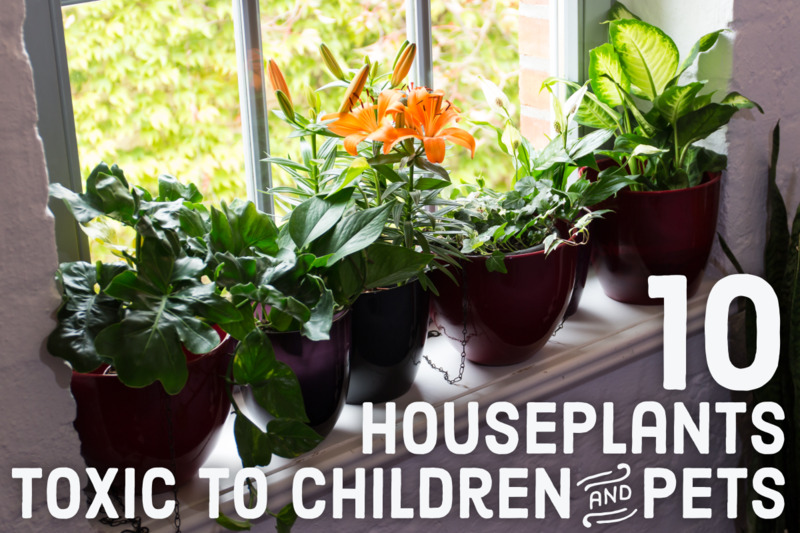 It may go against all your gardening knowledge to let the plant dry out. But what you need to do is allow the plant time to scab over on the open part where you made the cut. If you don’t do this, the exposed part of the plant will absorb too much water when it’s watered, and it will drown and die. All You Need is Love—and a Little Water and Sunshine! I like to use a shallow dish or small plate to allow my cuttings and leaves to dry in a windowsill until they’ve dried a bit. 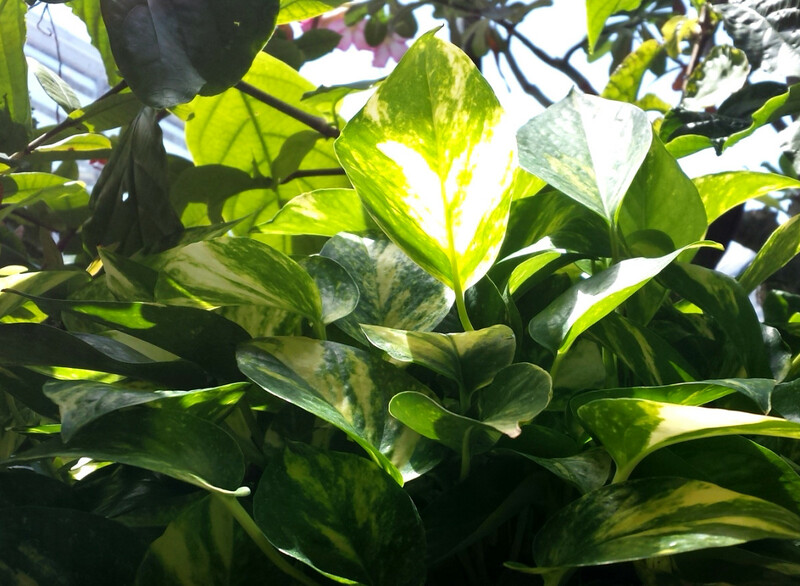 Depending on your climate/amount of sun the plants have received, this process could take 1–3 days or there about. Should You Cut or Pluck? How do know whether to make a cutting or take a leaf off a plant? 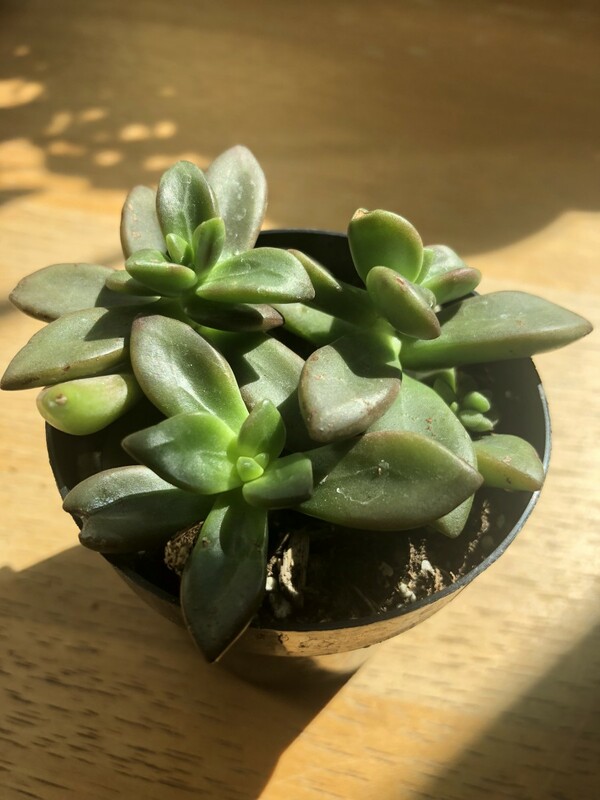 I would recommend looking at the tag of what type of succulent you purchased, and look it up online. That will probably be the easiest way. 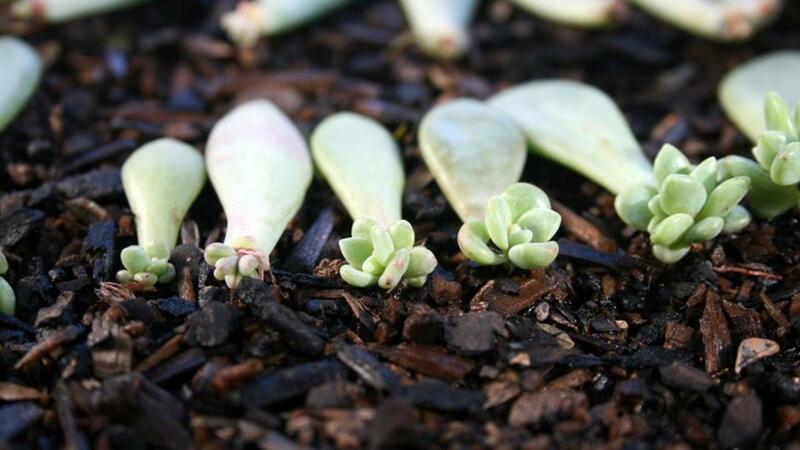 Some plants like sedums and echeverias can be propagated with either a leaf or a cutting. 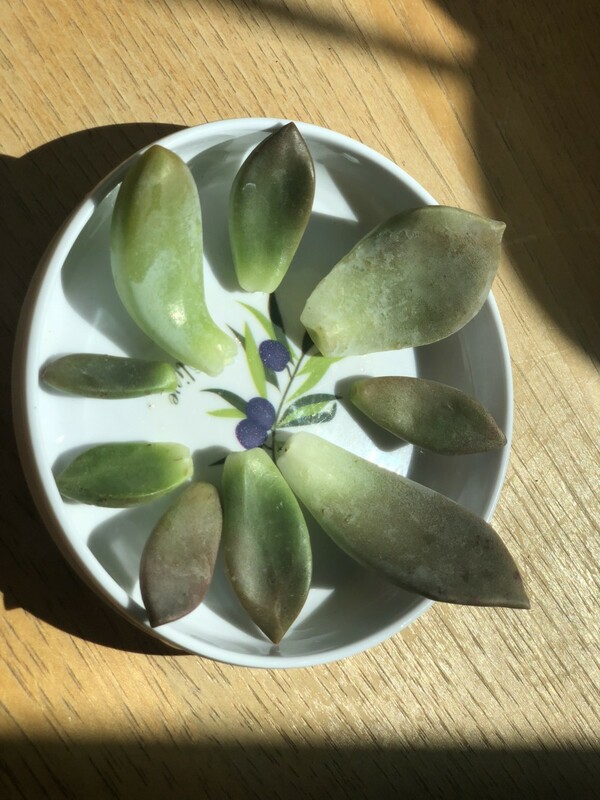 Though I prefer leaves when I can, since I like to watch the little babies grow! If you take a cutting from a plant, that plant will continue to grow and get bigger. But when you take only one leaf, that leaf will sprout smaller leaves or a cluster of leaves from the point where you twisted it off of the main plant. That is my favorite part, since you can watch the plant sprout a few roots. Then a few days later, you may see a small little nub of a leaf, which will turn into other little baby leaves. In the picture below, you can see this plant has what looks like several layers on one long chain. I would recommend cutting off the top third or even cutting off the top half of this, allowing it time to scab over, then letting it root. This is almost the easiest part. Unlike human babies, baby succulents need little to no care to grow. Every once in a while—maybe every three days—grab a spray bottle and mist them with water, and leave them in sunlight and you’ll be good. I suggest a sunny window that also gets shade part of the time. I made the mistake of putting some succulent leaves outside in direct sun, and they all burned and died. As you will see in the picture below, these baby succulents are sitting nicely on top of a bed of dirt, and they will continue to grow and root right where they are. You can place your leaves on top of some soil once they have roots, or you can do this from the start. 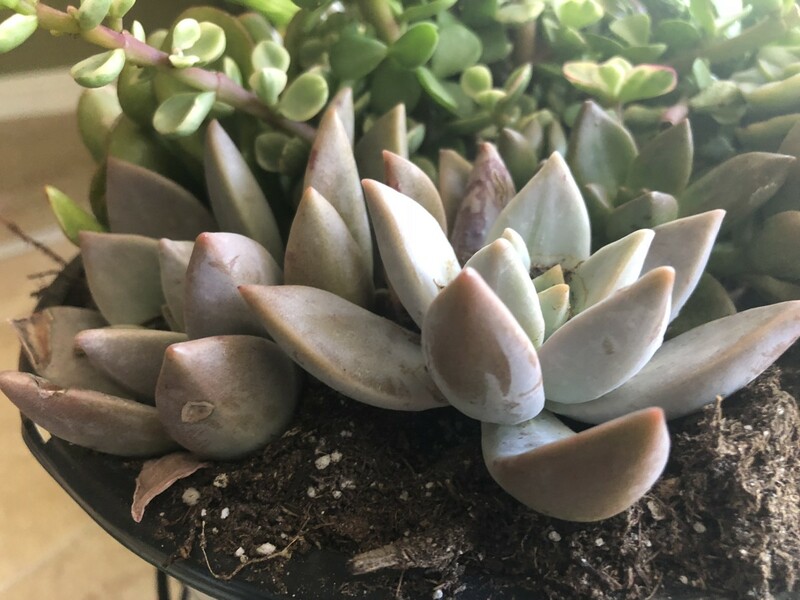 I have found it to be easier without the soil from the beginning, only because if the soil holds too much moisture or you water it and the leaves get too soggy, they'll rot instead of rooting. You have some roots and maybe even a small baby plant growing nicely. So the question becomes, what next? 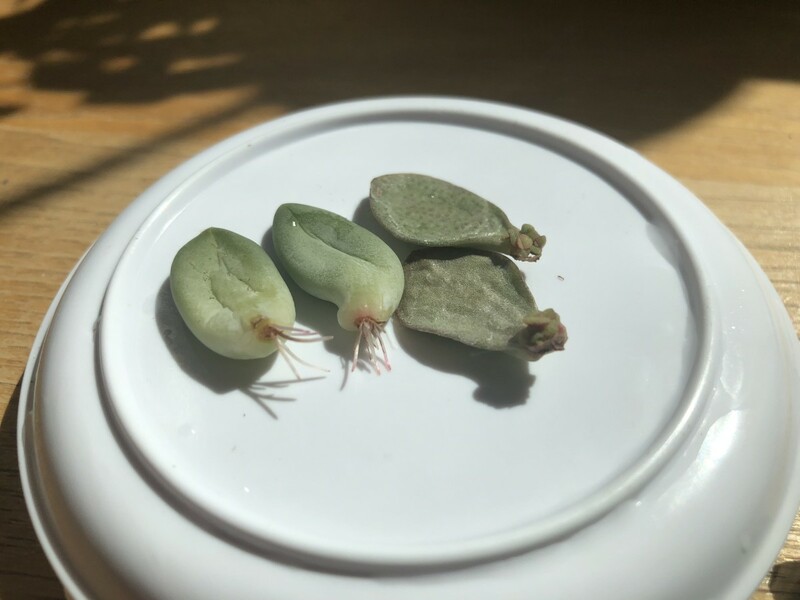 I like to wait at least a whole month or until the plant has sprouted several roots and/or what looks like a small miniature version of the succulent you’ve taken it from, and then it will be ready to go in some dirt. Most succulents, just like cacti, prefer their dirt to be loose and sandy. 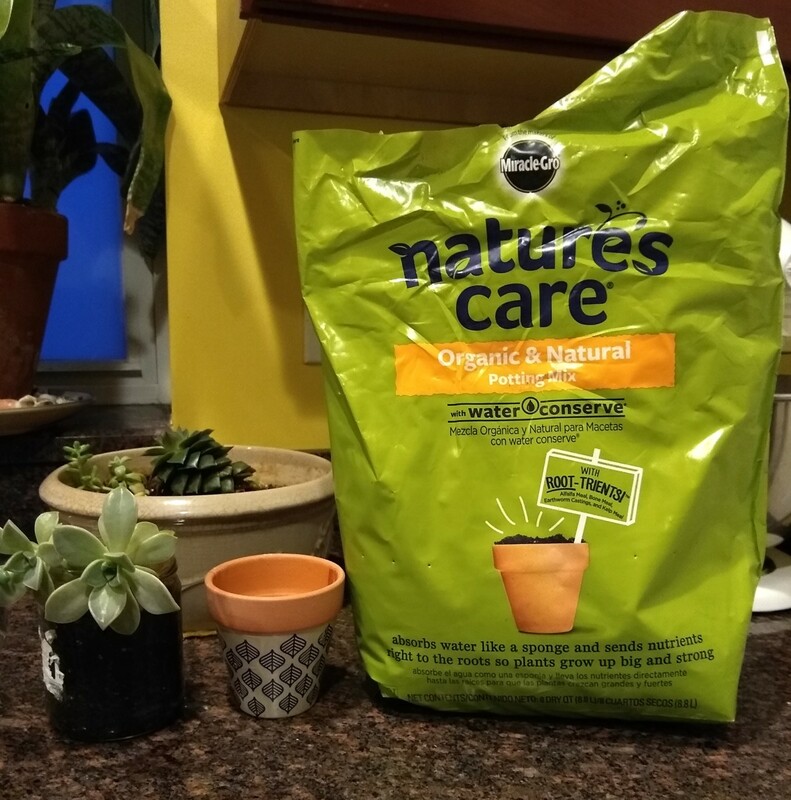 Some gardening stores will sell potting mix specifically for cacti/succulents, but you can always make your own with dirt, sand, and some small pebbles or rocks. Succulents do well in hot weather but like both sun and indirect light. Especially when you have new baby plants, don’t overwater the pot. And make sure you have good drainage, so they’re not sitting in water. Sometimes I'll put some of the rooted succulent leaves into a pot with larger succulents. But more often than not, I'll start a new pot of just all the babies. That way, they don't get lost in the shade of the bigger plants, and I can use more caution when watering them! 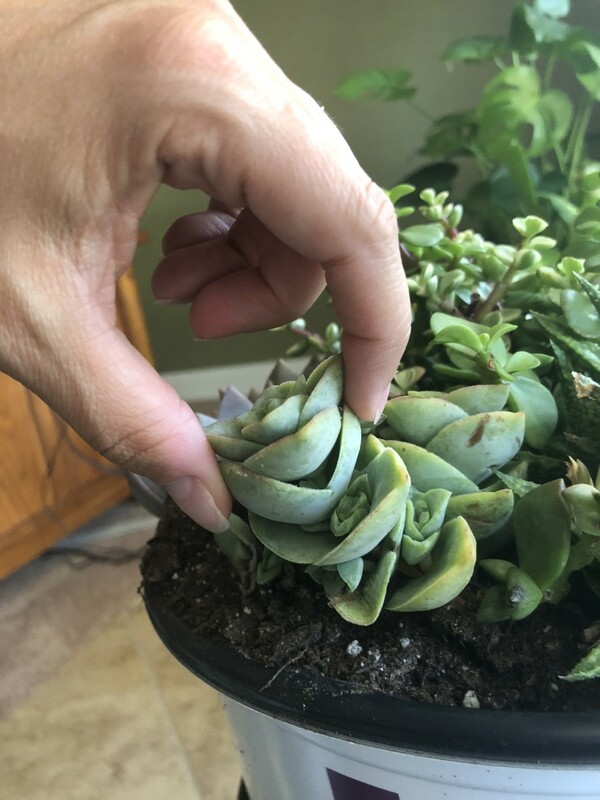 Growing succulents can be such a fun process, especially when it’s so simple and can be done with plants you already own!